Did you read The Call of the Wild or attend an event? Fill out a brief feedback form and let us know your thoughts about The Big Read Dearborn. Some people have already posted comments on the blog, which is very much appreciated! The Big Read Dearborn Wrap-Up Party is Tomorrow! Less than 24 hours to go before The Big Read Dearborn Wrap-Up Party begins! Join the celebration tomorrow, Saturday, May 17 from 2:00-4:00 p.m. at the Henry Ford Centennial Library. Congratulations to the Photo Competition Winners! Yesterday was the opening reception for the Do You Hear the Call? Photo Exhibit at the Henry Ford Centennial Library. Works will be displayed in the Rotunda Gallery until May 19, 2014. All of the 51 entries are stunning, but juror Monte Nagler selected several works for special recognition. Most of these works of photography are available for sale. You can download a complete list of works in the exhibit, including prices for items that are available for purchase. To inquire about purchasing artwork, contact the Dearborn Community Fund office at 313-943-5478. The exhibit will be on display in the Rotunda Gallery at the Henry Ford Centennial Library until May 19, 2014. 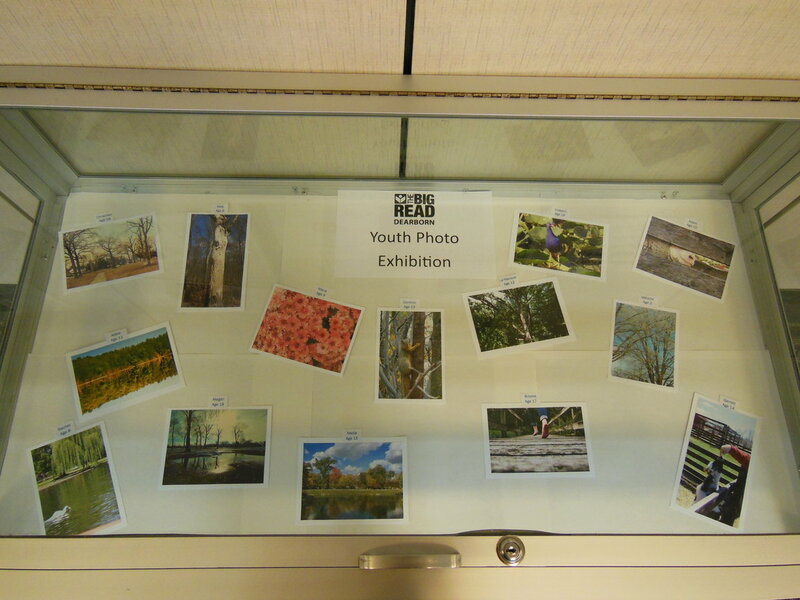 While you’re there, be sure to go upstairs and check out the Youth Photo Exhibit in the Teen Zone display case. Young photographers ranging in age from 2 to 18 contributed inspiring photos of the environment, nature, and wildlife to this exhibit.